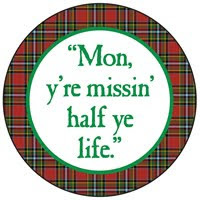 "Mon, y're missin' half ye life"
Gillespie was a true golfing pioneer in the state of Florida. He sold Henry Plant of Tampa on the value of golf as a Florida tourist attraction. Plant, who was investing in the tourism business in Florida, hired Gillespie to lay out courses for the Plant Investment Company. 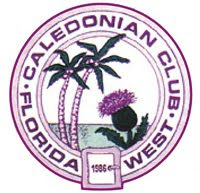 Gillespie designed courses at Winter Park, Tampa, Bellaire (Clearwater) and Havana, Cuba. Although the idea was spreading in Florida, there were not many golfers coming to Sarasota. 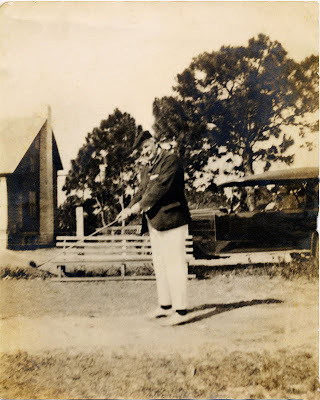 Gillespie continued to promote the game and in 1905 he built a nine-hole course and a clubhouse on a 110-acre tract of land east of his old practice course. If you wanted to play this layout today, you would tee off near the corner of Golf and Links Streets; play through the Sarasota County Terrace Building down past the Ringling Shopping Center to about School Avenue; then turn and play down Fruitville Road, past Sarasota Bowling Lanes, through the Sarasota County Courthouse and finish near the corner of Golf and Main Street. Gillespie maintained the course at his own expense for five years. In 1910 Gillespie sold his course to Owen Burns. This would be Sarasota's only course until the 1920s. On June 7, 1924, the Gillespie Golf Course, owned by the Sarasota Golf Holding Company, was sold to Charles Ringling. Ringling had plans to build the Sarasota Terrace Hotel on the site. This left Sarasota without a golf course. At the time, the Florida Land Boom was on and the population of Sarasota was growing dramatically. To help build a golf course fast, Calvin Payne agreed to sell 14 acres of land to help pay for a municipal golf course. The sale brought about $150,000 and it was used as a down payment on 290 acres about 2 ½ miles northeast of the courthouse. This tract of land was purchased from Honore and Potter Palmer and the East Land Company. To finish paying for the land, and to build the course, the City of Sarasota approved a $150,000 bond issue on July 9, 1925. The City of Sarasota enlisted noted golf course designer Donald Ross to design a signature course. Ross had designed the Whitfield Estates County Club (presently the Sara Bay Country Club), an 18-hole course that opened in December 1925. The city's new municipal course opened in Sarasota, June 5, 1927. The course was dedicated by the great golfer Bobby Jones on February 13, 1927. Afterwards, the city decided to name the course after Bobby Jones to give it "prestige." Colonel Gillespie never saw the Whitfield Estates Country Club or Bobby Jones course. He died of a heart attack on his nine hole course on September 7, 1923. In 1977, the City of Sarasota named the nine-hole course at Bobby Jones Complex after John Hamilton Gillespie.